It wouldn't be the holidays without a sing-along! This unique Christmas collection features 20 songs with eight pull-out sets of lyrics so that everyone can sing along. 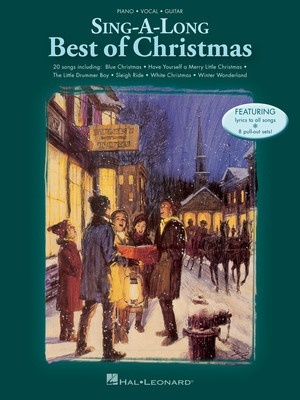 Includes: All I Want for Christmas Is My Two Front Teeth • Blue Christmas • Christmas Time Is Here • Feliz Navidad • Have Yourself a Merry Little Christmas • It's Beginning to Look like Christmas • The Little Drummer Boy • The Most Wonderful Time of the Year • Sleigh Ride • White Christmas• Winter Wonderland • and more.